Carl is the Managing Director of Almary Green, and the founder of the business. 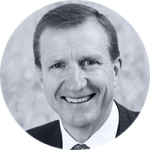 Carl spent 13 years as a senior consultant with Equitable Life. His expertise covers all areas of investments, pensions and protection for both individuals and businesses. He has a particular interest in self-invested pensions, and the flexibility they can offer. Carl holds the prestigious G60 pension qualification, and is a Chartered Financial Planner. Carl is the recipient of the “Financial Adviser” Awards Group Pensions Adviser of the Year 2013 and at the same awards in 2014 he was “Highly Commended” in the SIPP adviser category. In the 2015 awards he was named as Overall Adviser of the Year and SIPP Adviser of the Year. At the “Unbiased” Media Awards 2015 he was presented with the ‘At Retirement’ and ‘Financial Adviser’ of the year awards.